As you might already know, February is a heart health month. 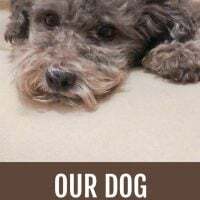 Heart health is a very important subject for me because more than half of my family members have been suffering from various heart conditions. To be honest with you, I am not a big fan of “insert a disease /organ here” health/awareness month campaigns. I am sure they were started with a good intention in mind. However, I think it’s kind of a wrong approach. It’s a reflection of the traditional medicine, where an organ or a symptom is treated separately from the patient. It’s like, one month we are taking care of the heart; the next month were are taking care of the next organ; and by the end of the year, we’ve taken care of 12 separate organs/ body parts. I think it would be a better idea to have a health awareness month campaigns every month. Imagine, every month we talk about healthy eating according to the season, exercise, stress reduction etc. The idea is to treat and respect the body (and mind) as a whole and to practice a holistic approach to health instead of separating the body into organs/diseases. Because healthy lifestyle is just as good for the heart as it is for other organs and we should be taking care of our heart all year long and not only in February. 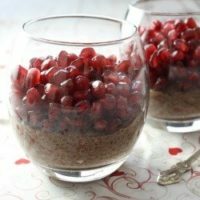 This is why this Chocolate Chia Pudding with Pomegranate is awesome whenever pomegranates are in season (fall and winter) and not only in February. (And not only for Valentine’s Day 🙂 ). 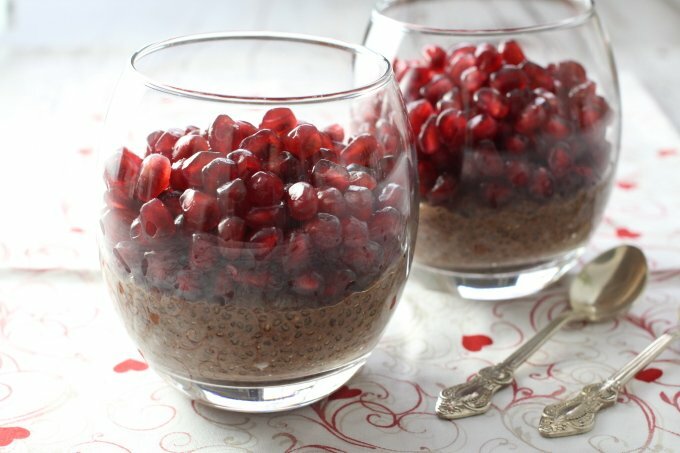 Chocolate Chia Pudding with Pomegranate is very easy to make. This healthy dessert is full of antioxidants. It’s also dairy-free, gluten-free, and vegan. In a small pot melt the chocolate over low heat (should yield about 1 1/3 tablespoon melted chocolate). Add 1 cup of the coconut milk or your favourite non-dairy milk and stir until combined, making sure the mixture doesn’t become too hot. Turn off the heat and let it cool to the room temperature. Once the chocolate milk is cool, pour it into a jar or a glass container and add 3 tablespoons of the chia seeds. Mix well until all the chia seeds are covered with the liquid. Cover with a tight lid and place in the refrigerator. 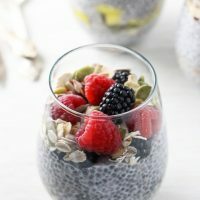 Keep the chia seeds in the fridge overnight or for at least 8 hours. 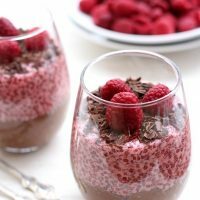 Once ready to serve, divide the chocolate chia in half and place into 2 small bowls or dessert glasses. 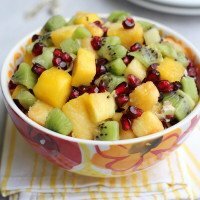 Top with up with the pomegranate seeds. 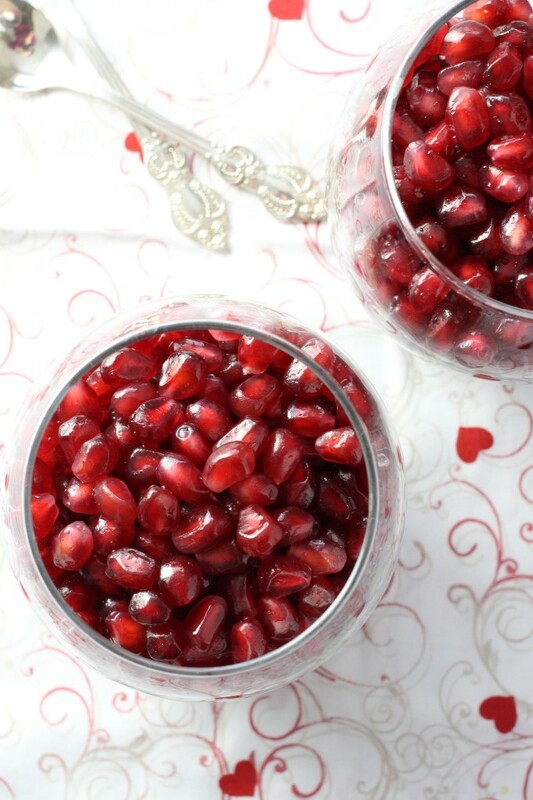 Pomegranate is my favorite! And it goes perfectly with chocolate! I know! 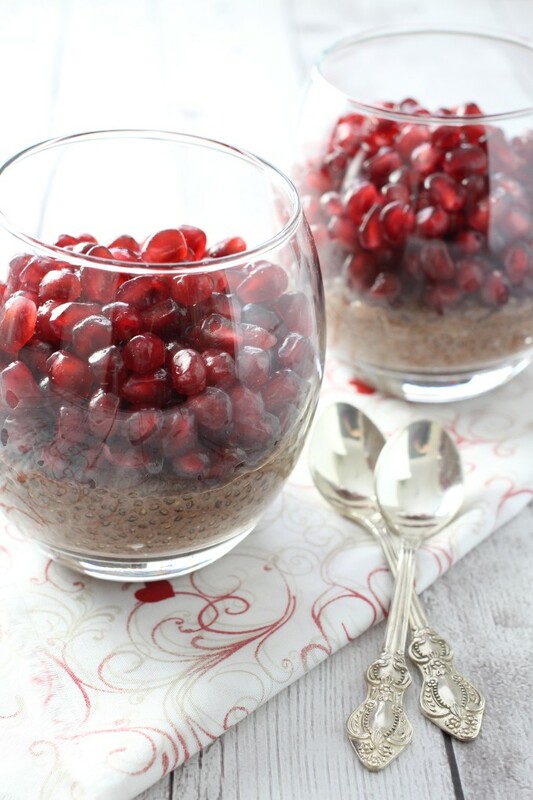 Pomegranate goes so well with chocolate!